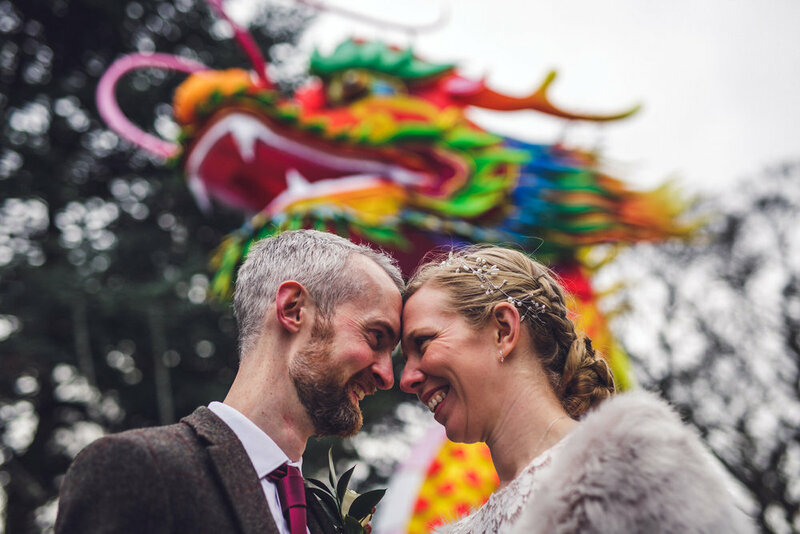 When Lorna and Darren asked me to be their wedding photographer there was just two of them. But by the time they got married they were three! I absolutely loved working at this wedding in Seafield Hotel Co Wexford. It was such a buzz all day and long into the night. When myself and Chris arrived to do the wedding photography and cinematography we could hear the girls from half way down the corridor! Lorna with her four bridesmaids, two flower girls and her good friends doing hair and make-up. There was never a dull moment in the bridal suite at The Seafield Hotel and Spa Resort. 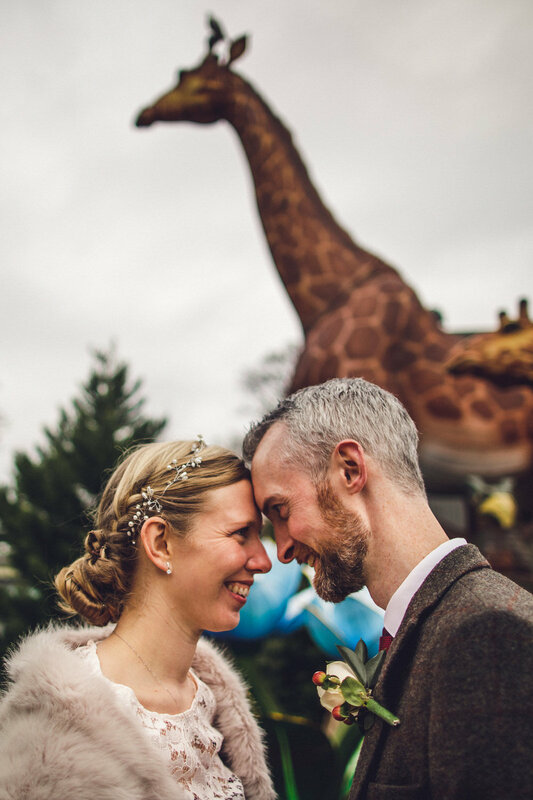 I have to say I am a big fan of December weddings for photography! Everyone is all excited for Santa and all the cool presents they are going to get …. unless of course they have been naughty! 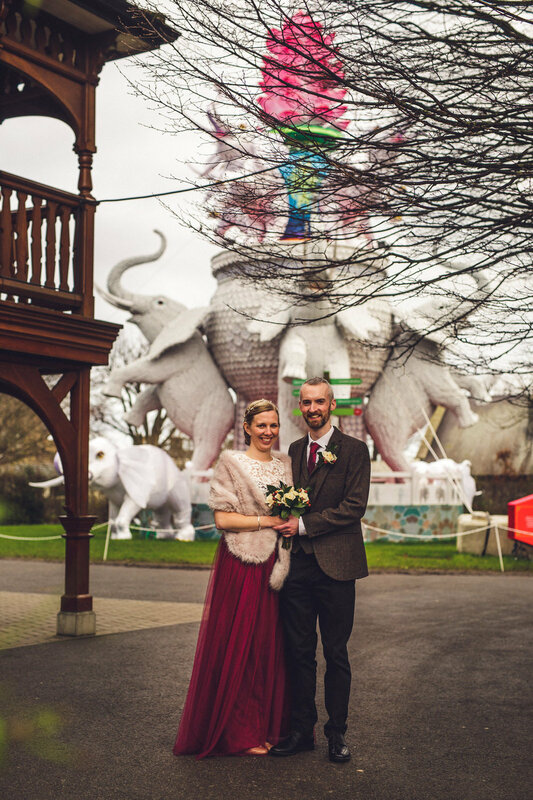 I had the good fortune to photograph Siofra’s cousins wedding in Tinakilly House, also a Winter wedding in 2017. 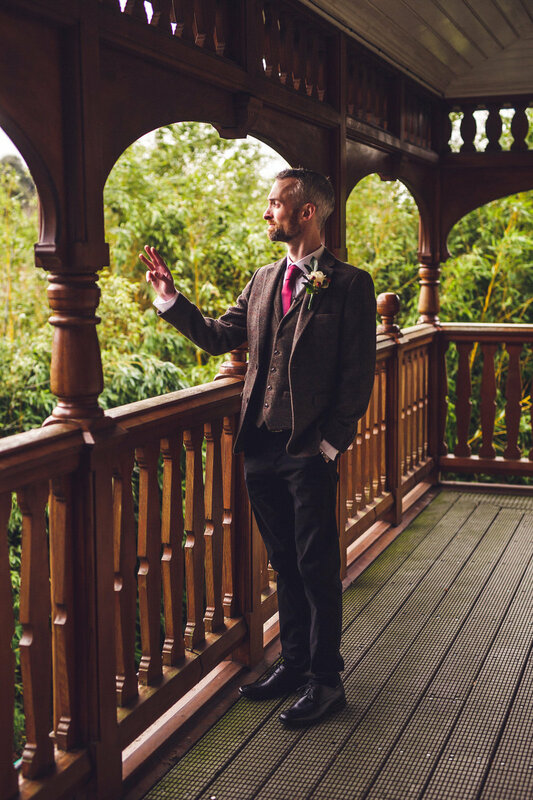 Peter was also a groomsman at another wedding I shot this Summer in Brooklodge. So when they both asked me to be their wedding photographer I was delighted! 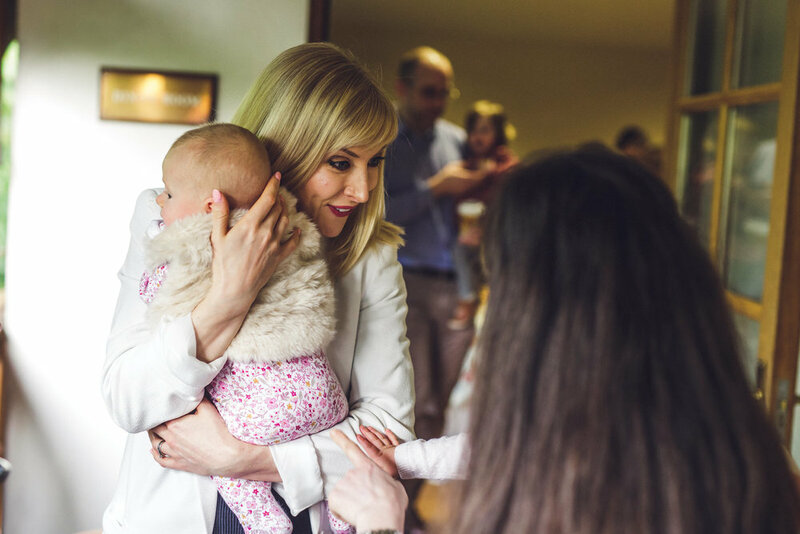 Siofra got ready in her beautiful family home in Riverchapel Co Wexford. This wonderful couple asked me to be their wedding photographer and I could not say no! 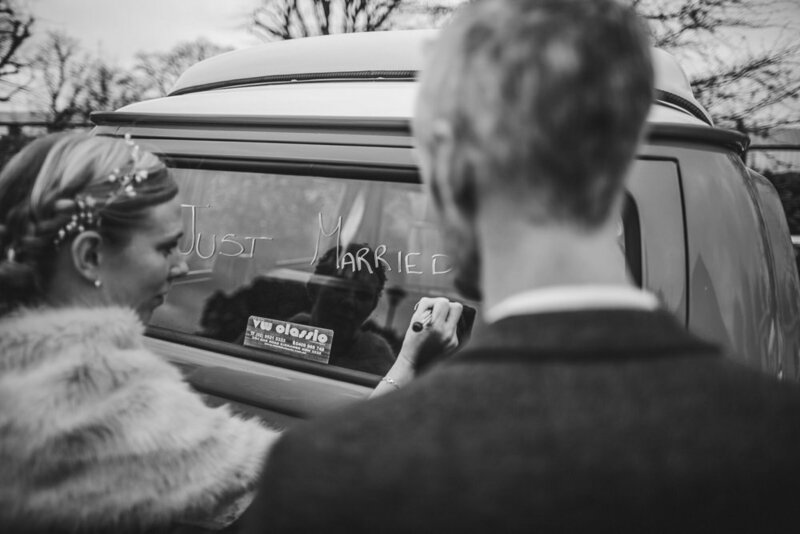 Liane and Colm's wedding was so full of personal touches. Everything took place in the perfect setting of Summerhill House Hotel in Enniskerry Co Wicklow. With friends and family doing all the music and readings from Liane and Colm's favourite composers and writers. I could just not ask for a better couple to work with then Katie and Stephen both from Greystones. So easy going, calm and smiles and laughter all day long. Their wedding started with me photographing Katie with her Bridesmaids in the stunning Summerhill House Hotel in Enniskerry. As I arrived the girls were opening champagne and all laughing so I knew this was going to be a great wedding to photograph. 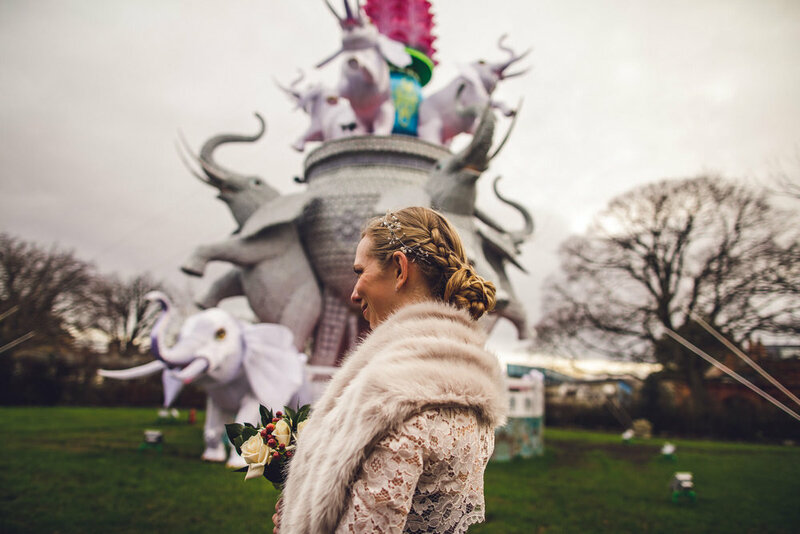 This was such a beautiful Winter wedding. Bringing together friends and family for Karen and Remi's very special day in Rathsallagh House Co Wicklow Ireland. 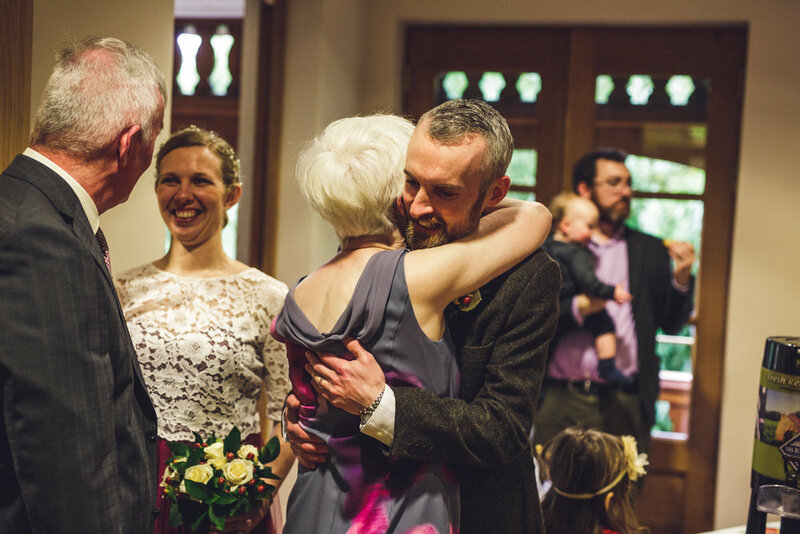 It is always such an honour to be the photographer at weddings like this. Photographing weddings in December is always a challenge with the sun setting so early but we managed to get some photographs in the fab Rathsallagh gardens. This wedding was an amazing experience. There were so many highlights for me as a wedding photographer. Firstly Lisa, her bridesmaids and family were so much fun to work with. When I arrived at her house in Wexford music was playing loud and the excitement was palpable. Lisa's dress hung majestically in her parents bedroom alongside her bridesmaids' rose gold dresses glistening in the Winter sun. 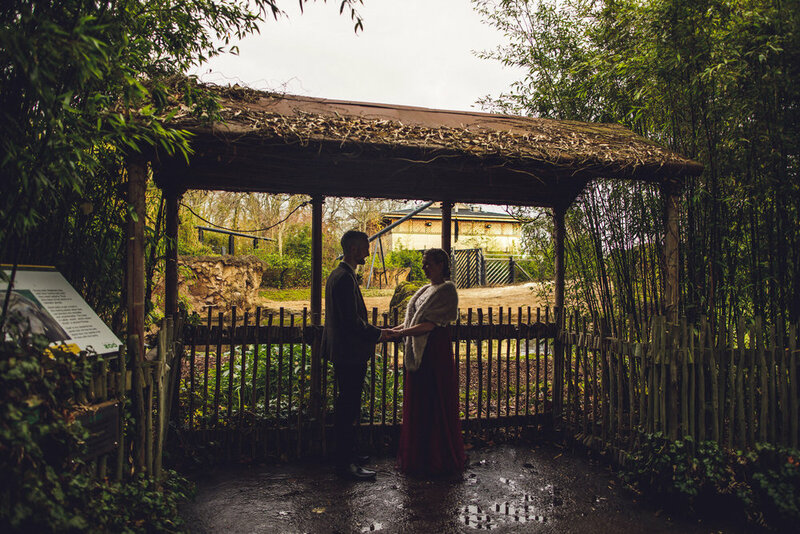 What could be better than going for an Autumnal walk with your wedding photographer a couples of weeks before your wedding? Staying indoors next to a cosy fire... never! 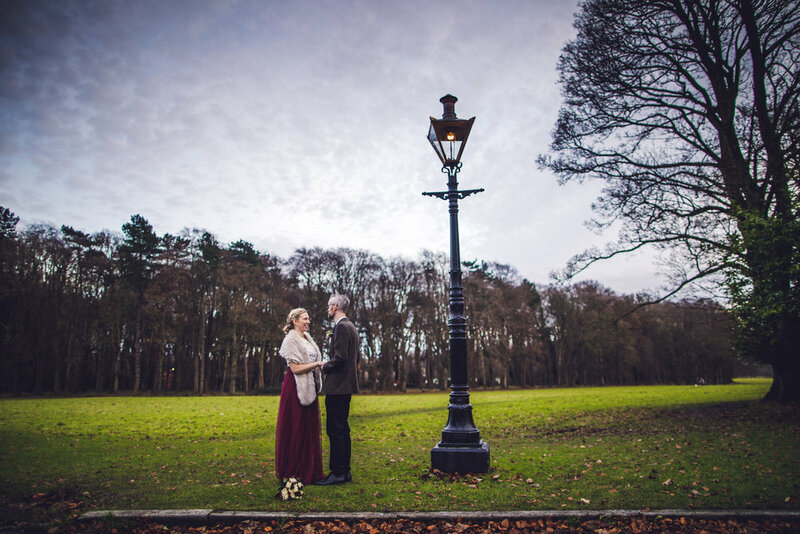 Lisa and Ronan braved the cold of Kindelstown Woods at sunset for their pre wedding shoot. 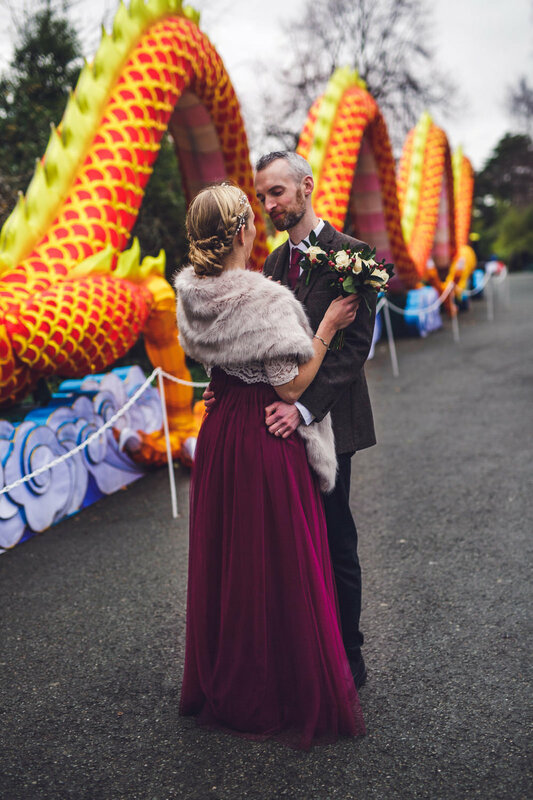 Fiona and Darren and all their friends and family had a day they will never forget for their wedding in Druids Glen Resort Co Wicklow and I was honoured to be their as their wedding photographer. 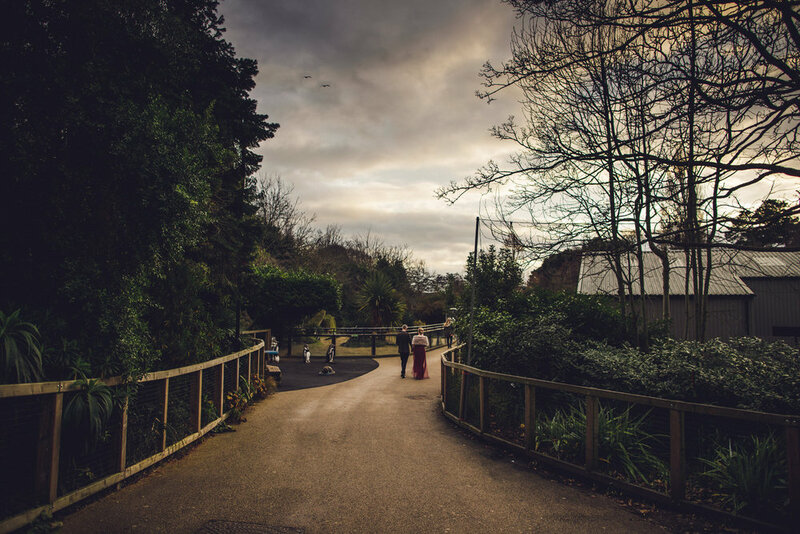 Druids Glen is like my second home just about 10 minutes away from my studio in Delgany so I know all the best places to go for wedding photography. There is a field just outside the village of Greystones in Co Wicklow that I love doing pre wedding shoots in! So on a fine Summers day where else would I take Aoife and James for their pre wedding shoot before their big day in Rathsallagh House. Sinead and Graham were looking for a real documentary style to their wedding photography in Dunbrody House Co Wexford. 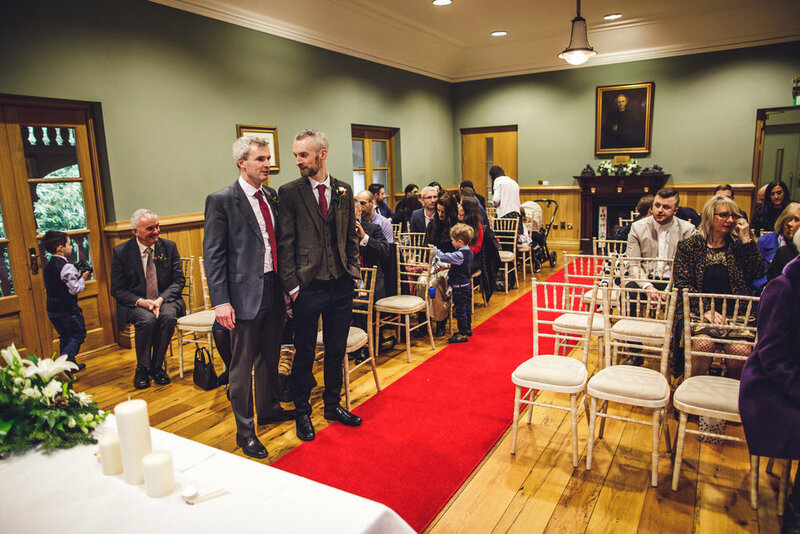 This was my second wedding for this family having shot Kai and Grainne's wedding in the Borris House Co Carlow so they knew my natural documentary style well. 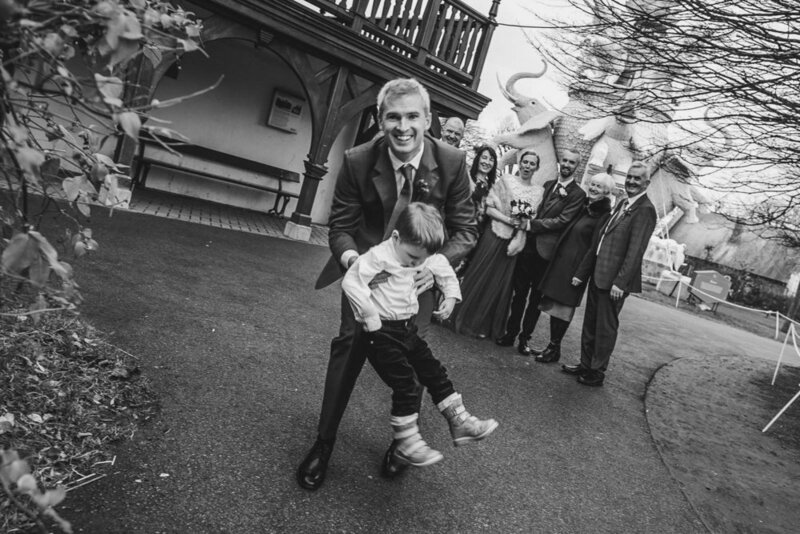 This beautiful Christmas time wedding of Sinead and Declan took place in Tankardstown House Co Meath. Sinead looked amazing all day and had a ball with her Mum and Bridesmaids. So many friends and family were part of the ceremony providing much of the music with Declan's son also playing during the ceremony. I just loved working with Haileigh and Shane.... we had so much fun on their wedding day! 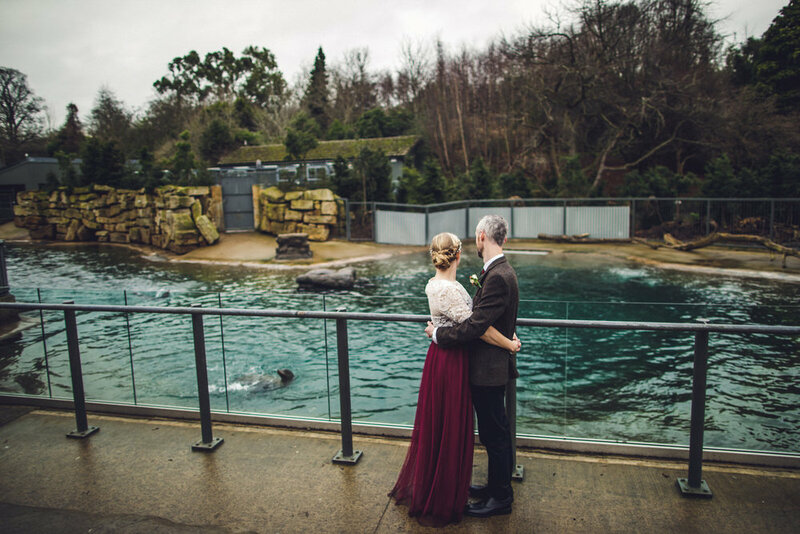 Another late December wedding as this couple had flown just before Christmas for their wedding. It was a little cold so when I asked them to stay outside for some couple portraits just before it got too dark Haileigh was not sure but Shane showed what makes him such a special guy by taking off his jacket and promising to keep Haileigh warm for their couple shots!